Oklahoma’s aerospace community is gathering to hear industry leaders discuss a variety of topics relating to the industry at The Oklahoma Aerospace Forum on Tuesday, Oct. 30, 2018 at the Skirvin Hotel. NASA Administrator Jim Bridenstine will provide the keynote speech titled, The State of Aerospace Today, and Congressman Steve Russell will provide closing summary remarks. The forum is an opportunity for Oklahoma aerospace executives and senior managers to meet and discuss the current state of aerospace in Oklahoma, learn about new state efforts to support the aerospace industry and network with one another. 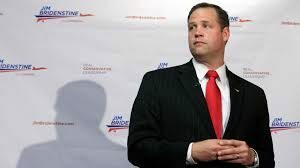 · “The State of Aerospace Today” – Luncheon keynote by Jim Bridenstine, former Oklahoma Congressman and current NASA Administrator. · “MRO and Parts Manufacturing in Oklahoma” – Moderated by Lt. General Don Wetekam, USAF Retired, with speakers including Erik Olund, managing director base operations, American Airlines Tulsa Technical Operations; Brigadier General Chris Hill, Commander, Oklahoma City Air Logistics Complex; and Sam Marnick, executive VP and chief administration officer, Spirit AeroSystems. 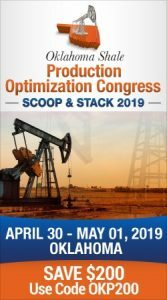 Panelists will discuss recent advancements in the Maintenance, Repair and Overhaul (MRO) processes, workload forecasts, business challenges and how composites and technological advancements are changing parts manufacturing. · “Workforce Development: The Pipeline of People” – Moderated by Phil Busey, Sr., founder, chairman and CEO, Delaware Resource Group with speakers including Jason Thomas, senior recruiting officer, Boeing; Michael E. Jennings, director of the 76th Software Maintenance Group, Oklahoma City Air Logistics Complex, Tinker AFB; Dr. Marcie Mack, state director, Oklahoma Department of Career and Technology Education; and Jamey D. Jacob, director, OSU Unmanned Systems Research Institute. Panelists will explore how to find and retain skilled workers, how best to forecast hiring and provider challenges with government fluctuations and the challenges with security clearances and its impact on hiring. · “Legislation, Regulation and Rules: The Changing Landscape” – Moderated by Victor Bird, director, Oklahoma Aeronautics Commission with speakers including Dan Hillenbrand, U.S. Sen. Jim Inhofe’s aerospace legislative assistant; State Senator Adam Pugh; Greg Smith, Oklahoma City site director, Northrop Grumman; and James Grimsley, president and CEO, DII. Topics will include the FAA’s rules on UAVs and airspace, how airspace will be shared in the future, federal budget challenges and 50/50 and the ongoing balance of industry vs government workload. · “Next Steps for Aerospace in Oklahoma” – Concluding remarks by Congressman Steve Russell.